Christian Reif joined the San Francisco Symphony as Resident Conductor and Wattis Foundation Music Director of the San Francisco Symphony Youth Orchestra (SFSYO) in the 16–17 season. In the 17–18 season, Reif conducted his third San Francisco Symphony subscription program, a performance which showcased the “technical assurance and forceful interpretive prowess that [Reif] has repeatedly displayed over the past two years” with the organization (San Francisco Chronicle). Reif joined San Francisco Symphony’s artistic staff after two years as Conducting Fellow with the New World Symphony, where he worked closely with Michael Tilson Thomas. In the 18–19 season, Reif leads the San Francisco Symphony in Prokofiev’s Symphony No. 5 and the world premiere of Andrew Norman’s Cello Concerto, an SFS co-commission, with cellist Johannes Moser. Additional upcoming engagements include debuts with the Saint Paul Chamber Orchestra, Omaha Symphony, and Hong Kong Philharmonic. Reif also returns to lead the Berkeley Symphony and San Francisco Conservatory of Music Orchestra, and will conduct Leoncavallo’s Pagliacci at Opera San José and John Adams’ El Niño with the American Modern Opera Company as part of the Metropolitan Museum of Art’s MetLiveArts series. His 17–18 season highlights included a debut with Lincoln Center’s Mostly Mozart Festival, where he led the International Contemporary Ensemble in John Adams’s Grand Pianola Music, and concerts with the Orchestre National de Lyon, Deutsche Staatsphilharmonie Rheinland-Pfalz, Bruckner Orchestra Linz, Lake Area Music, and Indianapolis and Berkeley symphonies. In the 16–17 season, Reif led the Deutsche Staatsphilharmonie Rheinland-Pfalz in Mozart’s Jupiter Symphony and Mahler’s Das Lied von der Erde with mezzo-soprano Michelle DeYoung and tenor Toby Spence for Heidelberg Spring International Music Festival. Previous performance highlights include leading The Juilliard School Orchestra, Israel Chamber Orchestra, Nuremberg Symphony Orchestra, Meiningen Court Orchestra, Georgian Chamber Orchestra, Salzburg Chamber Soloists and the Munich Chamber Opera in performances of Mozart’s La finta semplice. Reif was a Conducting Fellow at the Tanglewood Music Center in the summers of 2015 and 2016. While there, he stepped in for Seiji Ozawa to conduct the Seiji Ozawa International Academy Switzerland and led the Tanglewood Music Center Orchestra in Shostakovich’s Symphony No. 14 with soprano Dawn Upshaw and baritone Sanford Sylvan. 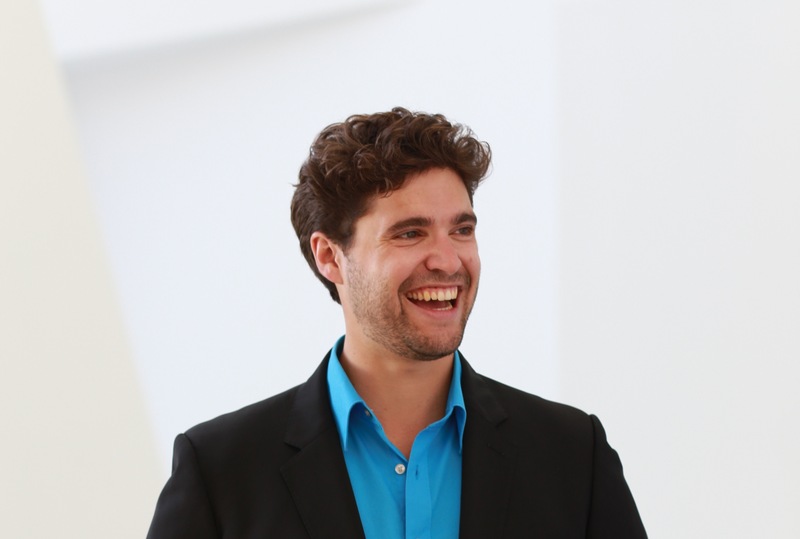 Reif is currently a member of Germany's prestigious Conductor's Forum (Dirigentenforum) and included on their list of “Maestros of Tomorrow.” A dedicated and enthusiastic educator, he has also taught piano, coached instrumentalists and works with singers as a répétiteur. Reif completed his Master of Music in Conducting at The Juilliard School under Alan Gilbert in 2014, after studying with Dennis Russell Davies at the Mozarteum Salzburg. For his outstanding achievements at The Juilliard School, Reif received the Charles Schiff Conducting Award.